Tempus by Alec Bradley was born from over eight years of meticulous tobacco cultivation, patient aging, and tireless blend testingto say the result was worth it is a vast understatement. Tempus features a dark, oily, & toothy Honduran Criollo 98 wrapper leaf and binder, and the filler is a mouth-watering proprietary long-leaf blend from Honduras and Nicaragua.When you light up a Tempus cigar, youll know immediately that youre smoking something of the highest quality. Notes of coffee, black pepper, and earth swirl around a toasty, nutty base with just a hint of dark chocolate sweetness. Cigar Aficionado gave the Tempus a high 94-percent rating, praising its rich flavors as well as its flawless draw and burn, but don't take their word for it - Pick up a box today and experience the unmatched Tempus for yourself. Can't go wrong with Alec Bradley. I've tried most of their lines, and I've never had a bad experience with them. Spicy, flavorful full-bodied smoke. Will buy more of these. Very smooth cigars with hints of cocoa. Great cigar, east smooth smoke. Not to heavy on flavor but just enough to make it a favorite. Nice and smooth draw, flavourful and consistent to the end. Smoke well. Will purchase again. 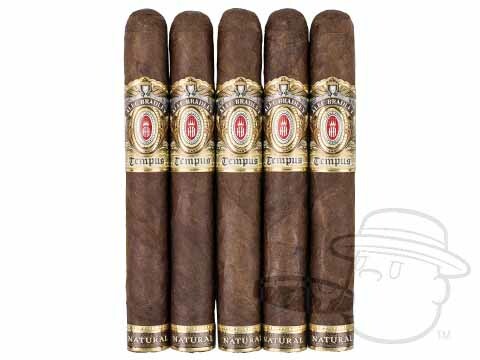 Alec Bradley Tempus Medius 6 is rated 4.6 out of 5 based on 11 customer ratings.